Falvey Memorial Library :: The Diagnostic and Statistical Manual of Mental Disorders is now online as a free trial. The Diagnostic and Statistical Manual of Mental Disorders is now online as a free trial. 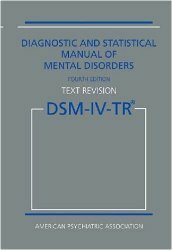 The DSM-IV-TR from the American Psychiatric Association is used by psychiatrists, psychologists, social workers and other mental health workers to assess and diagnose patients. This latest edition identifies some 300 disorders in contrast to about 100 disorders in the first edition of 1952. The manual’s aim is to provide clear descriptions of diagnostic categories. For example, see the manual for the gradations of attention-deficit and disruptive behavior disorders. The trial ends Sept. 30. Let us know what you think!